SULLY IS NOW LIVING IN NORWAY WITH GRO DOING OBEDIENCE, SEARCH AND RESCUE, SHOWING. SULLY JUST ATTENDED A SHOW IN NORWAY TO WIN BEST OF BREED AND THEN WENT ON TO WIN 4TH BEST IN THE HERDING GROUP WHICH IS A GREAT WIN FOR AN AUSTRALIAN KELPIE IN NORWAY. SO PROUD OF MY BEAUTIFUL SULLY! "Sully" - has character, is cheeky, full of confidence and just loves everyone. This pup has attitude!! 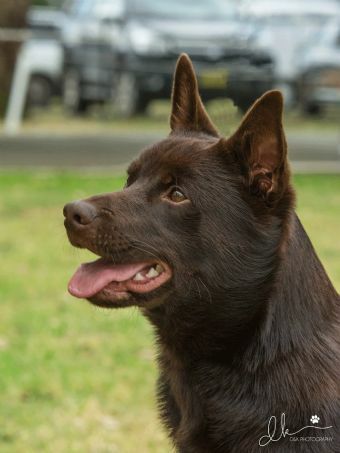 Sully has the best temperament, lovely dark eyes which so many Kelpies are missing these days and a ruff and brush on the tail which seems to be disappearing on many Kelpies that are being bred. Sully also has a correct undercoat and beautiful top coat. We honour our "Australian Diggers" on 25 April - Anzac Day each year. These wonderful men and women fought so that we could be free. As "Sully" was born close to this occasion I felt that this little guy could be named in honour of these wonderful people. 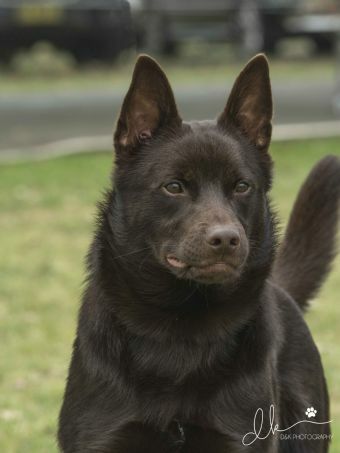 Our beautiful Australian Kelpie is a true Aussie Icon. I hope this little guy can live up to his name "Wingdari Spirit Of The Anzacs"
Cannot say much more as yet. Still getting to know this independant whirlwind. Looking forward to this little man going out and having fun and being a good representive for our wonderful Kelpies. 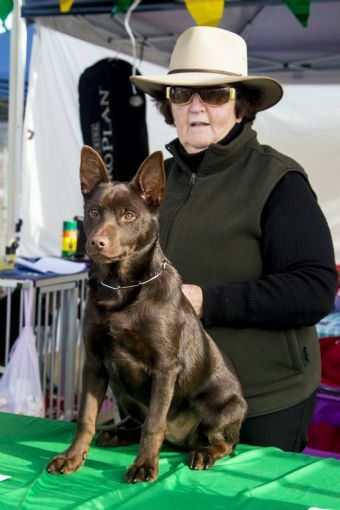 Sully won MINOR IN SHOW at the recent Australian Kelpie Speciality Show September 2015. Sully's new head shot photograph was kindly taken by Karen Francis of D & K Photography. Thanks Karen.